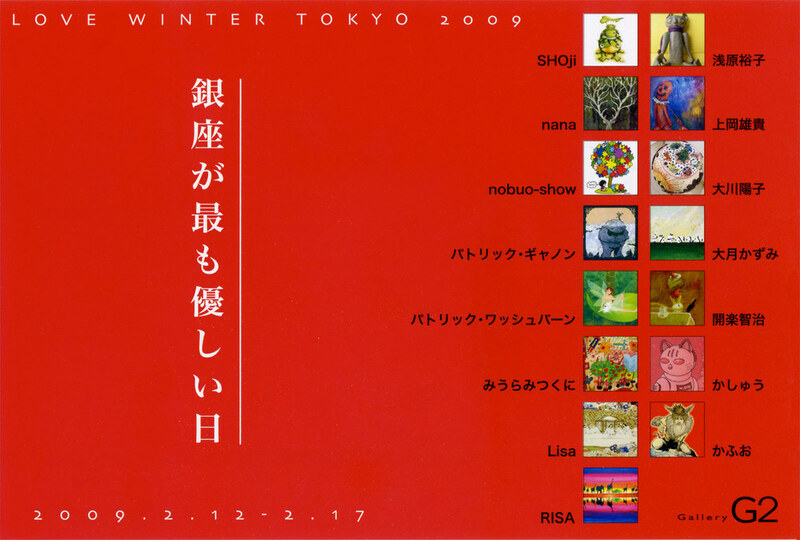 February's group show in Ginza, Tokyo opens on February 12th, and I expect it to be a fantastic time with some wonderful art. This will be the second time I've had the privilege to show with my good friend Patrick Washburn, and the first I've shown with a whole host of other talented folk. 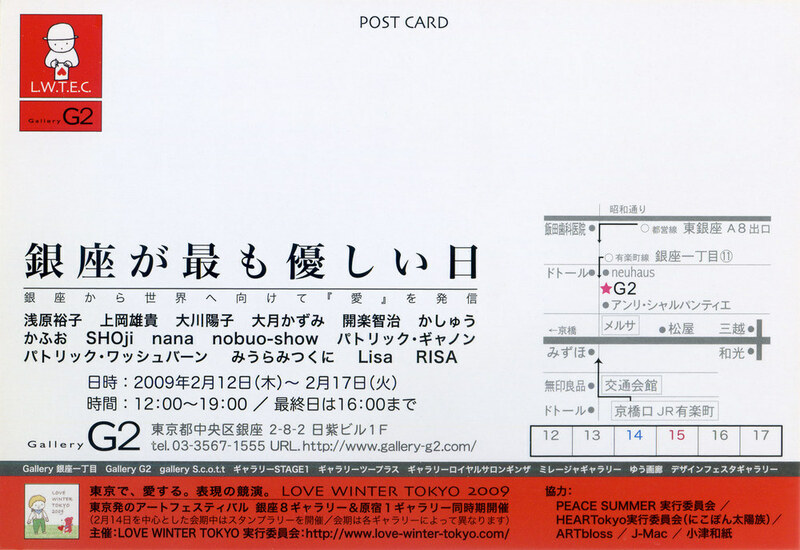 Love Winter Tokyo is actually a group of similarly themed shows spanning 9 galleries. The shows all have different running times, with the earliest opening on 2.9 and the latest closing on 2.20. I will be at the gallery on Sunday 2/15 and Tuesday 2/17. If you know when you plan on visiting, email me and I'll make sure I'll be there waiting for you. Stop by and check out some great art!